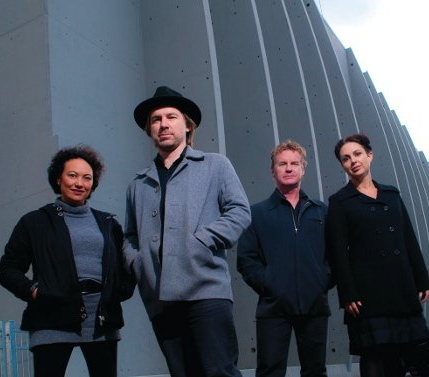 The Bellbirds have two festival performances coming up… The first is at the Christchurch Arts Festival on September the 30th. The second is at the Tauranga Arts Festival on October the 26th. Somewhere in amongst the outrageously busy lives we all seem to be leading at the moment – what with children and tours and work and other bands & projects etc – we’ve also been recording an album. It’s probably still a little way off, but I’ll post our anticipated release date as soon as we’re finished it. Any progress on the Bellbirds album front? Sadly Radio New Zealand has taken down the link to the band’s live session. We’ve been working on it and we’re hoping to release it later in the year… and we’ll be playing down at the Taupo Erupt Festival on May 20th. That’s great news. Unfortunately, I live in Scotland, so a trip to Taupo is not really an option. But have seen Sean in concert with Pajama Club and Don on his own, so slowly collecting the set.